In April, construction started on a 2.7MW solar carport at Bentley Motors’ manufacturing plant in Cheshire, having first entered the planning in November 2016. Around 10,000 panels were fitted to frames sheltering almost 1,400 car parking spaces at the project, which was financed by Guinness Asset Management under a power purchase agreement with Bentley Motors. Peter Bosch, member of the board for manufacturing at Bentley, said: “We continue to focus on new initiatives that reinforce our commitment to the environment, whether this is introducing alternative powertrain technologies in future models, or our award-winning work to reduce the environmental impact of our factory. May saw a smattering of hope within the UK solar industry as energy and clean growth minister Claire Perry hinted the forthcoming solar strategy could deliver a “really positive” set of outcomes. Talking to journalists at the All Energy conference in Glasgow, Perry said the strategy ought to be considered a positive while apologising for its delay on the back of the much-criticised Cost of Energy Review authored by Dieter Helm. But, as forthcoming parts of this year in review will testify to, the “really positive” outcomes never really materialised, ultimately culminating in this week’s news that the export tariff is to close alongside the generation tariff from 1 April 2019. 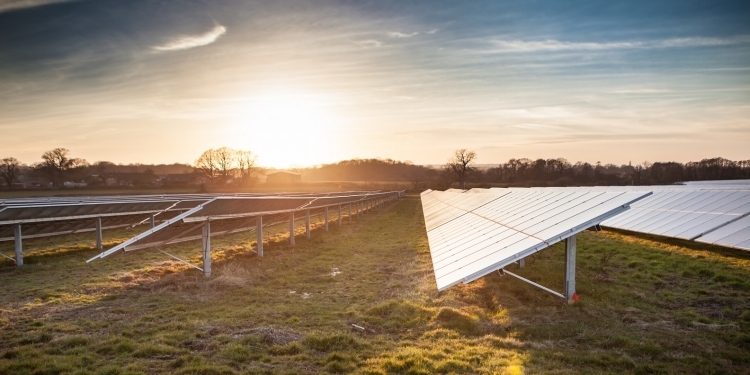 It was better news however a few days later, as the UK’s fleet of operational solar generators basked in the early May bank holiday sunshine, becoming the number one source of power for three hours one afternoon. Data compiled by Drax Electricity Insights shows that between 12:15pm and 3:15pm on Sunday 6 May, the country’s solar fleet generated more power than any other generation source, including gas. During that period solar contributed between 8.4GW and 8.8GW of the country’s total demand. That was equivalent to between 26.7% and 28.5% of demand. Gas meanwhile contributed around one-quarter, with nuclear generating just shy of that figure as well. Coal however was shunted entirely off the system during the afternoon spell. Alternative data compiled by Sheffield Solar’s PV_Live tool shows that solar generation peaked on Sunday afternoon at 9.28GW, falling just short of the all-time peak generation record of 9.37GW set on 25 May last year. Part one of Solar Power Portal’s recap of 2018, covering the top news stories from January, February and March, can be read here.